That’s the latest sentiment from many professionals in the game industry. 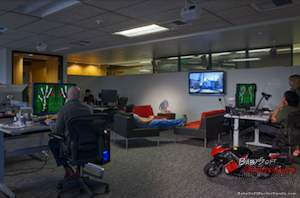 The conversation was sparked by John W. Ratcliff, Nvidia’s Senior Software Engineer, in his article “So your teenager tells you they want to ‘make video games for a living’..“. His argument is a strong one, just because you like video games doesn’t mean you can make them. The game industry is a highly competitive one with companies like Activision and Ubisoft going out of their way to hire the best. Managers from game companies actually meet with the teachers and monitor students who do really well. Those are the people they want. While there are many jobs in the game industry, only 2 of them have any demand and pay well: Artist and Software Engineer. Both of these jobs require skill and talent. Skill is often something that can be learned and developed, this is true, but talent on the other hand is a bit more innate. For an artist, talent is the ability to illustrate extremely well without any training. These are people who are driven by details and composition. Talent for a programmer is a natural aptitude for mathematics and problem solving. These are the people you paid to do your math homework in high school. While general programming doesn’t require you to be a math whiz, general programming also doesn’t pay as well as a Software Engineer. John Carmack, creator of the Quake Engine, even responded to this argument, agreeing for the most part, but adding that just because someone is not great at math doesn’t mean they can’t be a great programmer. Carmack explained that someone who deeply learns the tools and becomes an expert can also be an extremely valuable asset to a team. Ratcliff responded to this in a second post emphasizing his focus on the title Software Engineer; explaining that a Software Engineer is a problem solver. These are people who have a deep grasp of math and can figure out what parts of a program are not working correctly and then how to fix them. Geometry and algebra are heavily used in game programming, especially in the graphics field. In my own experience, many people who don’t have these talents often describe themselves as “idea people”. 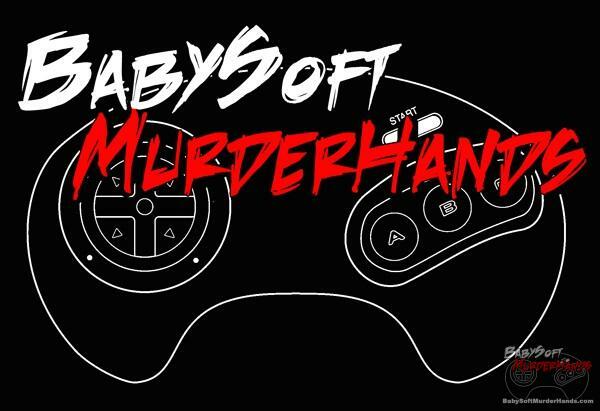 These are the people who want to be the next Shigeru Miyamoto or Cliff Bleszinski. 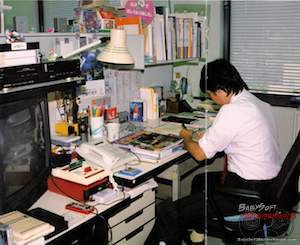 But let’s consider 2 things: Shigeru Miyamoto has a degree in industrial art (way before graphics programming was explored properly) and had worked as an artist at Nintendo for a while before he was given the task of designing a game. Cliff Bleszinski, at 17 years old, had already started his own company and created a game before Epic hired him. Long story short, the game industry needs talent, skill and drive. While degrees are not certainly not ignored, more important than a degree is the display of your talent in completed works. But don’t expect to be hired into the top of the food chain from day one. You need to earn stripes in the video game industry, just like any industry. The role of game designer tends to be a senior position, which means there simply aren’t many openings for that job. The ratio of designers to programmers and artists tends to be 1 to 10 or greater. That basically means you have a better chance of landing an art or programming job when beginning a career in game design. We looked at the staff of a couple games to give you some numbers to consider. 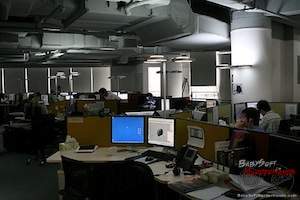 Street Fighter 4, which was developed by Capcom and Dimps, had a staff of about 200 people. For the game portion of that staff 15 were programmers and 66 were artists ranging from animators to modelers; only 7 were designers of some sort (battle designer, director, etc). This doesn’t even include the art staff for the CG intro to SF4, which had another 30 or so artists involved. 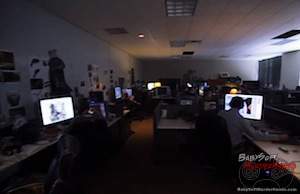 Quake III, developed by id Software, then an indie game company with about 50 employees had 5 programmers, 8 artists and 5 designers (3 of which were for levels/maps). One of the programmers was John Carmack, which is worth at least 3 programmers. As you can see, there are way more jobs in programming and art. The few jobs in the design/directorial position tend to be given to people with a lot of experience under their belt. He also explains that game design schools that do have programming and art courses tend to be too focused on just games. Being a good software engineer means a very broad and skilled ability for programming. Same with art. He emphasizes going to well known schools with experienced teachers like Savannah College of Art and Design for art and M.I.T., Stanford, and the University of Illinois for programming. He stresses that degrees from schools like those also open up your hiring options to other companies like Google, Microsoft, Apple, Boeing, General Dynamics, and Lockheed. So, if you want to make video games for a big company, you need to be good. Really good. You need strong abilities in programming or art. Making and publishing your own really good games is a great way to show off your skills. Having interviewed many game developers, one thing they all agree on is the importance of your portfolio. On the other hand, the indie games scene has also proven the opportunity for amature, DIY style game design. It also reaffirms the importance of talent and drive. Are you a budding game designer? Are you going to school for a game related skill? Sound off below.